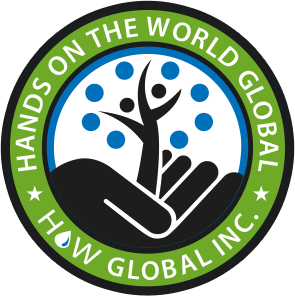 HOW Global is a 501(c)3 designated non-profit organization employing a unique model to improve social and economic outcomes in poor rural villages in the developing world. Our mission is to guide and inspire people to take action to help themselves to secure basic needs and improve their lives in a sustainable way. In 2006, a United Nations partner of the Water Initiative asked Rachael Paulson to research the fact that 700 school villages in Kwa Zulu Natal South Africa were without living water and electricity. She traveled to the Carisbrooke School in Ixopo, South Africa with the intention of taking notes and photos. What she saw there was shocking. Children walk for hours each day to retrieve buckets of filthy water from mud holes shared with wild animals. This is their drinking water – the same water these animals drink, bathe and defecate in. Rachael was on this trip to Africa for an entirely different reason, but this moment changed her life. And her mission. HOW Global was born. Rachael began by drilling one water hole and installing one water pump in a rural African community at the Carisbrooke Primary School in the Sisonke District. The water pump was centrally located at the village school where everyone could access it. The simple presence of a secure water source meant this village could begin to raise crops, practice basic hygiene, meet their basic needs. Children were actually able to attend school instead of searching for water all day. But, so much more was possible! Water security allows a community to shift attention to larger developmental issues. Working side-by-side with community leadership, HOW Global worked to establish sustainable food programs and provide education and resources to address basic needs and guide the community toward sustainability. Today this village is thriving – a shining example of how a community can shape its own destiny. The installation of the water pump and implementation of the school garden now feeds school children at lunchtime and became the main source of food for the large population of orphans. The excitement captured the imagination of the community and jump started the momentum needed to expand the garden and agricultural projects beyond the school grounds. Seedling programs allowed villagers to start their own gardens, and locals were inspired to extend pipes and install new pumps further out into the village. As access to clean water and basic agriculture spread, the community began to see opportunity and possibilities. Irrigation and hygiene practices were now possible. Workshops, education programs and partnerships with other NPOs introduced chicken and worm farming. The community began to take product to market. They learned and implemented pesticide-free, organic, sustainable methods of food production. The Carisbrooke Primary School project became the first Green Hub Model of Sustainability and is now the standard replicated in other communities around the world. And it all started with water.